Wuttunee, Winston et al. "Alanis Obomsawin". The Canadian Encyclopedia, 15 January 2019, Historica Canada. https://www.thecanadianencyclopedia.ca/en/article/alanis-obomsawin. Accessed 19 April 2019. Image: The Canadian Press/Frank Gunn. A member of the Abenaki Nation, Obomsawin, whose last name means “pathfinder,” returned with her family to the Odanak reserve	near Sorel, Quebec, when she was six months old. Her father was a guide and a medicine maker, and her mother ran a boarding house. Her time on the reserve was idyllic; she delivered her aunt’s homemade bread and sang with abandon in her aunt’s rocking chair. She moved with her family from the reserve to Trois-Rivières when she was nine years old. Though the transition was difficult, her father’s death from tuberculosis when she was 12 pushed Obomsawin to rebel against the bullying and the promotion of European cultural superiority in school. Leaving Trois-Rivières at age 22, she spent time learning English in Florida before settling in Montreal in the late 1950s. Following her debut as a singer at a concert at New York City’s Town Hall in 1960, Obomsawin made appearances on reserves, in schools and prisons, at music festivals and on television. In 1966, she was profiled on the CBC program Telescope for her activism and “near superhuman” efforts to fund — through donations, concerts and lectures — a swimming pool for the Odanak reserve after the local river was deemed too polluted. 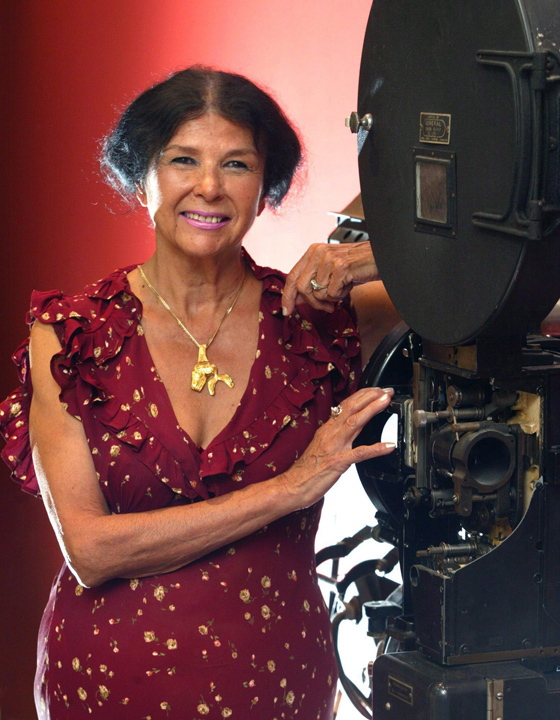 Though primarily known for her filmmaking, Obomsawin has not abandoned her performance roots. She has appeared at the Guelph Spring Festival, theNational Arts Centre	in Ottawa, the Place des Arts in Montreal, the Mariposa Folk Festival (where she was coordinator of Aboriginal peoples' programming from 1970 to 1976) and at WOMAD (Harbourfront, 1990). She also appeared regularly for several years in the 1970s on the Canadian version of the children's program Sesame Street. After noticing her in the CBC Telescope feature, Wolf Koenig and Bob Verrall, producers at the National Film Board (NFB), hired Obomsawin as a consultant on projects that related to First Nations peoples. In 1971 she directed her first film, Christmas at Moose Factory, and in 1977 she became a permanent staff member at the NFB. Committed to redressing the invisibility of Indigenous peoples, Alanis Obomsawin’s filmmaking style resides in the unique ability to pair Indigenous oral traditions with methods of documentary cinema. Amisk and Mother of Many Children, produced and directed in 1977, combine interviews with music, dance, drawings and archival images to validate the history of Indigenous peoples across Canada. Of her films on young people, Richard Cardinal: Cry from a Diary of a Métis Child (1986) is the best-known, and perhaps the most striking. A dramatic account of a young boy’s suicide, it led to a government report on social services	for Indigenous foster children in Alberta, though little has been done to alleviate such problems (see also Suicide Among Indigenous Peoples in Canada). Obomsawin’s films have documented the work of Indigenous organizations to help young people overcome alcohol and drug abuse (Poundmaker's Lodge: A Healing Place, 1987), and provide services to homeless Indigenous peoples in Montreal (No Address, 1988.) Her films on the struggles of the Mi'kmaq over fishing rights (Incident at Restigouche, 1984) and the Mohawk-government standoff at Oka in 1990 (Kanehsatake: 270 Years of Resistance, 1993) have been widely acclaimed, and have brought Obomsawin national and international recognition. Obomsawin directed The Wild Rice Harvest, Kenora (1979) and June in Povungnituk (1980) for the NFB’s Canada Vignettes series, and a short dramatic film, Walker (1991). She has examined individual stories ( My Name Is Kahentiiosta, 1995; Spudwrench, 1997) and commented on the long-term effects of specific incidents during the events of the 1990 Oka Crisis (Rocks at Whiskey Trench, 2000), allowing viewers to see multiple angles of a complex and evolving story. Obomsawin continues to make films into her eighties, including Hi-Ho Mistahey! (2013), which focuses on the Indigenous education initiative Shannen’s Dream, and Trick or Treaty? (2014), which profiles the struggles of Indigenous leaders in attempting to negotiate with the federal government. Trick or Treaty? was selected to screen in the Masters program at the Toronto International Film Festival (TIFF) in September 2014, making Obomsawin the first Indigenous filmmaker to receive that honour. The film was voted runner-up for the People’s Choice Documentary Award at TIFF and was nominated for a Canadian Screen Award for best feature documentary. Obomsawin’s hour-long NFB film The People of the Kattawapiskak River (2012), which explores the poverty-stricken conditions of the Kattawapiskak Cree	in Northern Ontario, won the Donald Brittain Award for Best Social/Political Documentary Program at the Canadian Screen Awards in 2014. Obomsawin’s 2016 documentary, We Can’t Make the Same Mistake Twice, chronicles a nine-year human rights battle alleging that the federal government	under-funded Indigenous children in Canada. The film had its world premiere at TIFF and garnered wide critical acclaim. Alanis Obomsawin is also a prolific visual artist known for her engravings and prints. The Montreal Museum of Fine Arts	held an exhibition of about 25 of her prints, along with handmade straw and grass objects by members of the Abenaki nation, from 21 May to 25 August 2019. Obomsawin has long been an active force in the country’s artistic community, serving on the boards of many organizations. She was a board member of the NFB’s Indigenous unit, Studio One, and an advisor for New Initiatives in Film, a program for women of colour and Indigenous women in the NFB’s women’s unit, Studio D. She has served on the board of directors for Aboriginal Voices, the Aboriginal Peoples Television Network	(APTN), the Public Broadcasting Association of Quebec, National Geographic International and the Public Broadcasting System (PBS) in Vermont. She has also chaired the board of directors of the Native Women’s Shelter of Montreal and served on the Canada Council’s First Peoples Advisory Board. Obomsawin is a revered figure among documentary filmmakers and has received numerous honours in both the United States and Canada. She was made a Member of the Order of Canada	in 1983 and promoted to Officer in 2001. Her artistic accomplishments, her work with young Indigenous people and her activism on behalf of the rights of Indigenous peoples	have earned her the Governor General’s Award (1983), a National Aboriginal Achievement Award (1994) and more than half a dozen honorary degrees. She was also granted an Honorary Fellowship at the Ontario College of Art and Design in 1994, and was an Honorary Fellow of the Royal Society of Canada	in 2013. In 2001, she received a Governor General's Visual and Media Arts Award and became the first non-sociologist/anthropologist to win the Outstanding Contributions Award from the Canadian Sociology and Anthropology Association. In 2004, the International Documentary Association honoured her with its Pioneer Award, presented annually to “an individual who has made an indelible impression on the evolving art and craft of nonfiction filmmaking.” That same year, the imagineNATIVE Film + Media Arts Festival in Toronto created an annual documentary award in her honour. May 2008 saw another award from the Governor General's office with the Performing Arts Award for Lifetime Artistic Achievement. Obamsawin was also the subject of a two-week special retrospective at the Museum of Modern Art in New York the same month. Also in 2008, she was part of the Elders-in-Residence program at the University of British Columbia’s First Nations House of Learning. In 2009, she was awarded the Outstanding Achievement Award by the Hot Docs Canadian International Documentary Film Festival. In 2012, she returned to the University of British Columbia as Artist in Residence for the Film Production program. In 2014, Obomsawin was honoured with the Canadian Screen Awards’ Humanitarian Award for her “exceptional contributions to community and public service.” In 2016, she received the Toronto Film Critics Association’s Technicolor Clyde Gilmour Award, which recognizes filmmakers “whose work has in some way enriched the understanding and appreciation of film in their native country.” The prize required her to choose an emerging filmmaker to receive $50,000 in post-production goods and services from Technicolor (she selected Métis and Cree artist Amanda Strong). Also that year, Obomsawin was named a Grand Officer of the National Order of Québec and received the Prix Albert-Tessier, the province’s highest honour in cinema (see also Prix du Québec). Zuzana Pick, "Storytelling and Resistance: The Documentary Practice of Alanis Obomsawin," Gendering the Nation: Canadian Women's Cinema (University of Toronto Press, 1999), 76–93. Jerry White, "Alanis Obomsawin, Documentary Form and the Canadian Nation(s)," North of Everything: English Canadian Cinema since 1980 (University of Alberta Press, 2002), 364–75. Randolph Lewis, Alanis Obomsawin: The Vision of a Native Filmmaker (University of Nebraska Press, 2006). Trick or TreatySee the trailer for Alanis Obomsawi’s insightful film on the infamous Treaty 9 of 1905. From the Toronto International Film Festival website. Alanis ObomsawinView a selection of films by award-winning documentary filmmaker Alanis Obomsawin at the website for the National Film Board of Canada.